Earlier, recruiters could afford to devote a large part of their time selecting and recruiting well-qualified and niche talent. 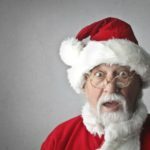 Metrics like cost per hire, applicant to interview ratio, and the number of applications per role, that formed the KPIs for recruiters, are too ‘last generation’ today. Recruiters today want to, and are expected to, contribute to their organization’s strategy. Recruiters must include modern recruitments metrics in their recruitment strategy to be able to call themselves strategizers. And for this to happen, recruiters need the right HR intelligence tools by their side. 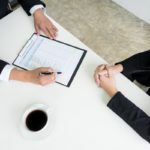 Therefore, recruiters today are experiencing a seismic shift in their recruitment approach, from paper-based job applications to a data-driven strategy. These responsibilities are quite demanding and require the assistance of the right HR intelligence tools. 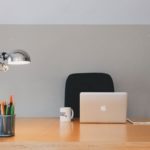 Carrying out all of the responsibilities mentioned above is crucial, but it is difficult for recruiters to execute all the responsibilities alone. With the advent of the technological disruption, recruiters can now get the assistance of analytics tool, which will help them perform their job seamlessly. The critical metrics offered by the right HR intelligence tool helps the recruiters frame an ideal recruitment strategy, regardless of the size of the company. A recruitment analytics tool augments the efforts of recruiters tremendously. With simple inputs like ‘job title’ and ‘skills,’ recruiters can get to know the exact geographic location of the potential candidates. With such crucial information, recruiters can target their focus only on areas or cities hosting the most viable candidates in the largest numbers. Recruiters can even devise varying hiring plans for variable locations, based on varying talent densities. Recruiters get a heat map, showing the talent density and the movement pattern of talent across America. The tool helps de-clutter the candidate search to find niche candidates across America. Having the ‘talent density’ feature on the HR intelligence tool allows recruiters to boost city-wise recruitment. helps recruiters build a competitive and effective hiring strategy. Talent analytics allows recruiters to analyze their hiring cycle and compare it with that of their competitors. 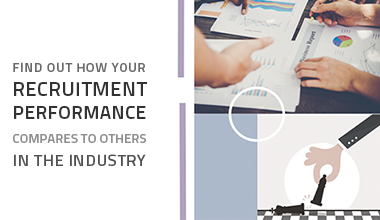 Recruiters get to gauge their performance against industry standards and competitor benchmarks. To develop a successful recruitment strategy, recruiters should know the right recruitment sources to tap into. The right recruitment analytics platform provides recruiters with a list of universities that teach their students skills that recruiters are looking out for. The platform will also enable recruiters to engage with passive candidates in competitor organizations. So, whether recruiters are in search of fresh or experienced candidates, HR intelligence tools pinpoint the best sources for them. Recruiters should leverage the right HR analytics tool that will give them the right metrics to chart out an informed strategy. 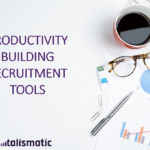 Talismatic is one such recruitment analytics tool that offers a simple and summarized dashboard view of hiring timeframes, contingency plans, overall recruitment performance, and consolidated hiring data, among many others.